Gracie Lorine Highfield Penrod, 94, of Vanceburg, passed away Thursday evening, August 16, 2018, at Carter Nursing and Rehabilitation Center in Grayson . She was born October 16, 1923, at Trinity, a daughter of the late James and Emma Florence Bayless Highfield. 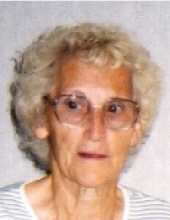 Gracie was a member of Liberty Grove Christian Church and was a homemaker. She enjoyed working in her yard, working puzzles and spending time with her family. Gracie is survived by three sons, Earlest Penrod of Vanceburg, David Richard Penrod (Janean) of Florence and Wendell Penrod of Hillsdale, Michigan; five daughters, Barbara Hardin of Vanceburg, Gloria Angel (Roger) of Garrison, Pamela Duke of Coalwater, Michigan, Debra Richardson (Warren) of Wilmington, North Carolina, and Theresa Penrod of Vanceburg; 18 grandchildren; numerous great-grandchildren; one great-great-grandchild; and a sister, Mary Frye of Tollesboro. She also leaves many other family members and friends who will sadly miss her. In addition to her parents, she was preceded in death by her husband of 49 years, Emmitt Penrod; two children, Linda Grohalski and Betty Cole; three brothers, Bruce Highfield, Willie Highfield and Elmer Highfield; and four sisters, Bell Tulley, Lizzie Clark, Bertha Highfield and Pauline Dunigan. Services will be at 11:00 a.m. Wednesday, August 22, 2018, at Dickerson Funeral Home in Vanceburg, with Bro. Oval Osborne officiating. Burial will follow in Lewis County Memory Gardens at Black Oak. Friends may visit from 10:00 a.m. until 11:00 a.m. Wednesday, August 22, 2018, at Dickerson Funeral Home, 110 West Second Street in Vanceburg.